An LG patent shows off a unique two-stop hinge system that may be coming to a future folding phone. The patent was reportedly submitted in 2015 and was published last week by the U.S. Patent and Trademark Office. 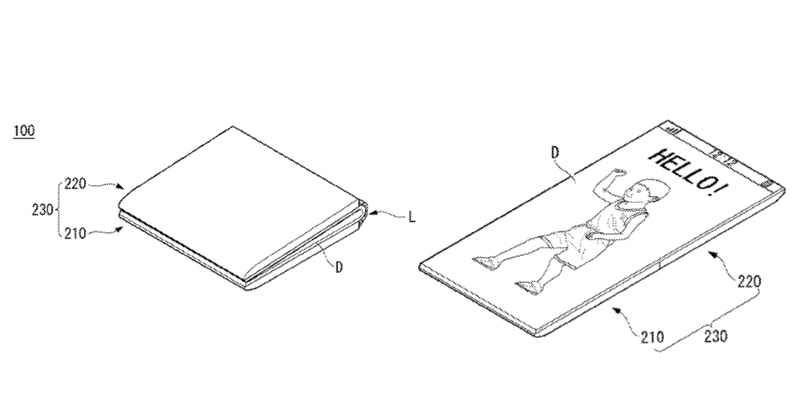 The patent displays a few potential systems for executing the hinge of a foldable display. Both hinge styles end up looking like the hinge on a Surface Book. One option utilizes a series of spring-loaded tips. These tips can slide between two locked positions. Additionally, there are a total of four tips, each with two locked positions. Primarily this would allow the hinge to lock while opened or closed. However, it could possibly lock at a partially-open 90 degree angle as well. Furthermore, LG’s patent describes a system of magnets in the top and bottom of the display to hold things closed. 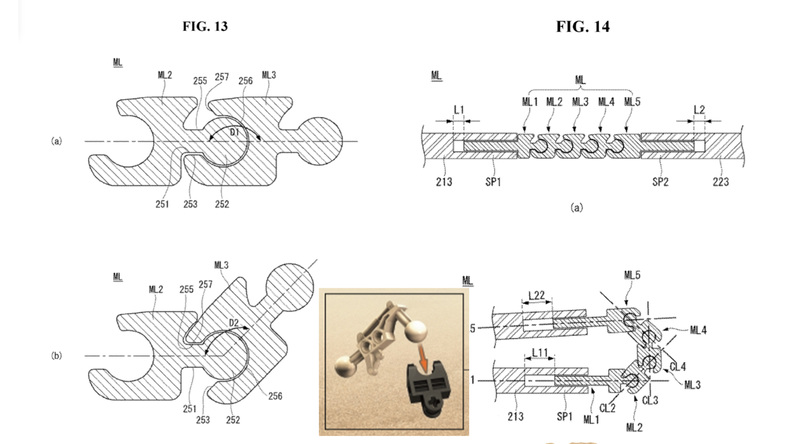 The other system in the patent looks like a piece from a Lego Bionicle set (pictured below). One end is a ball, which fits into the socket of the next piece. It forms a hinge from a series of four balls and sockets, sort of like a joint. However, this hinge doesn’t appear capable of locking in place. In either case, the hinge forms a uniform curve. The display would run along the inside of the curve. This type of system would minimize potential damage to the display caused by folding it in half like a sheet of paper. The patent also shows off a system where users can hook the folded phone on a shirt pocket and film chest-high video with it. Finally, the patent shows the phone with dual front-facing speakers as well. LG’s hinge system is similar to one Samsung patented in January 2018. 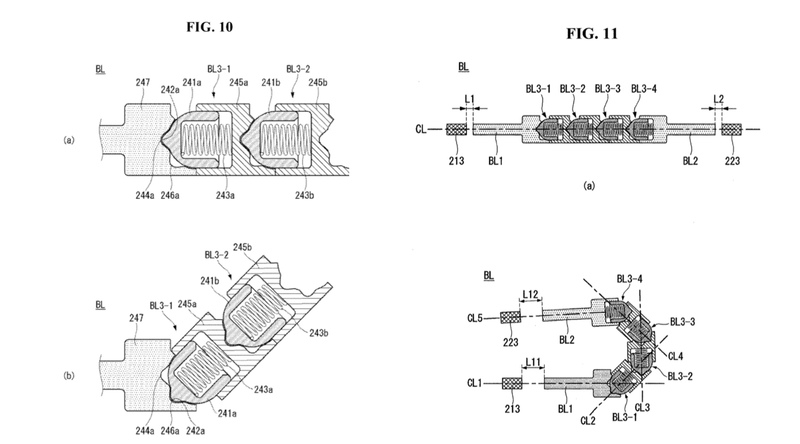 The Samsung patent shows off a curved hinge as well. The LG patent can be viewed here, courtesy of Netherlands-based tech site LetsGoDigital.